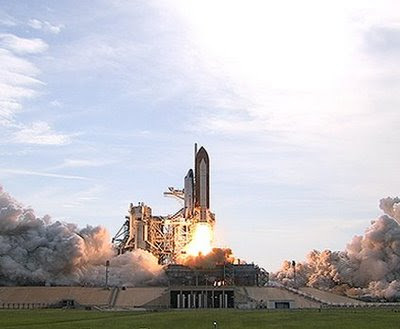 Space Coast Beach Buzz: Liftoff - the Sixth Time Is the Charm! Great! Not many of these left! Having watched launches on television since the Mercury, Gemini and Apollo days, boy, would I love to see a real live launch! My mother used to let us stay home from school to see them go, then take us to class. Never missed a single one. Huge deal in our family up in northern NY.